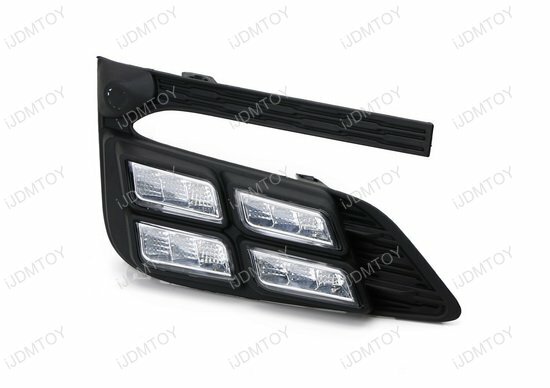 Q: What car will this LED daytime running light assembly fit in? 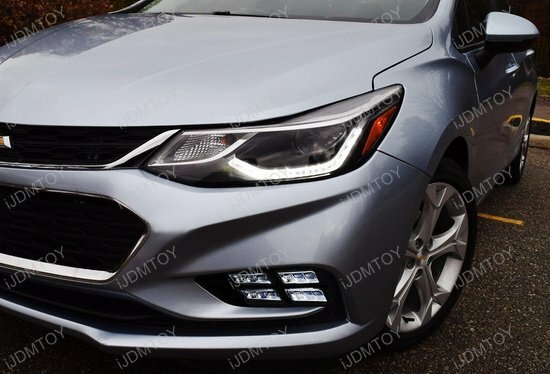 A: The direct fit 10W high power xenon white LED daytime running light/fog lamps are made to fit in the 2nd generation 2017-up Chevrolet Cruze. 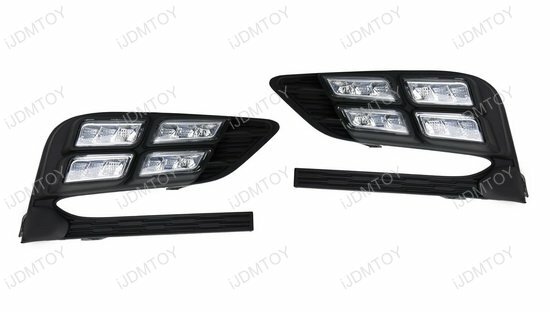 Q: How can I use this pair of foglamp location LED daytime running lights? A: You may use this Chevy LED DRL set to repair/replace your current LED assembly or upgrade your fogless bezels to a vibrant white LED. Q: How do I connect the wires to power up the LED daytime running lights? 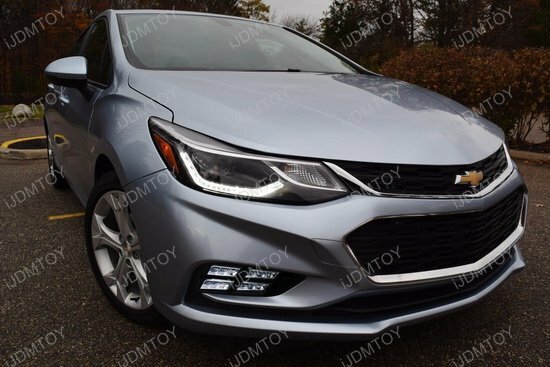 A: If your Chevy Cruze did not come with factory fog lights, connect the wires to your ACC 12V+ fuse box to power the LED daytime running lights. 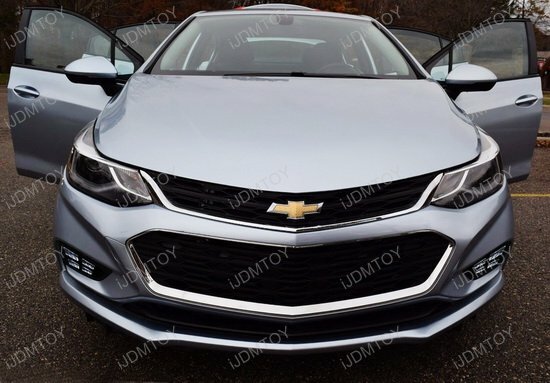 If your Chevy Cruze did come with fog lights, you may directly connect the adapter to the existing foglamp harness. Q: If I install these LED daytime running lights on my car, would they cause any error messages on dashboard? A: No, since you are tapping these LED DRL Lights to an existing power source (and not replacing), there should be no error messages. 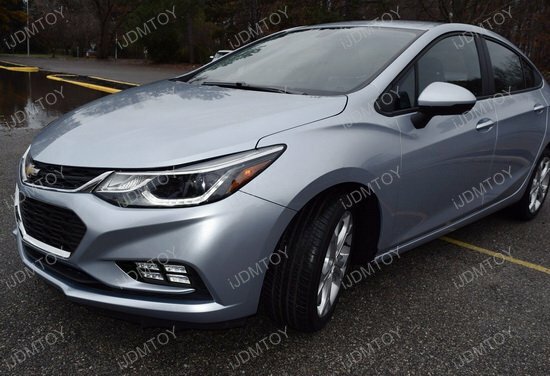 If you are looking to spruce up your new Chevy Cruze, put on a pair of LED DRL fog lights! 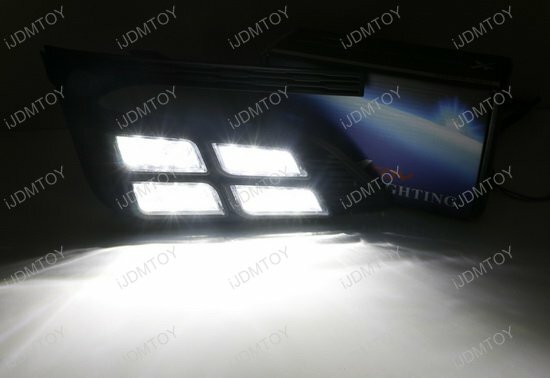 This is a pair of fog lights that function as daytime running lights, powered by 10W LED emitters which output enough light to attract attention to your Chevy Cruze. 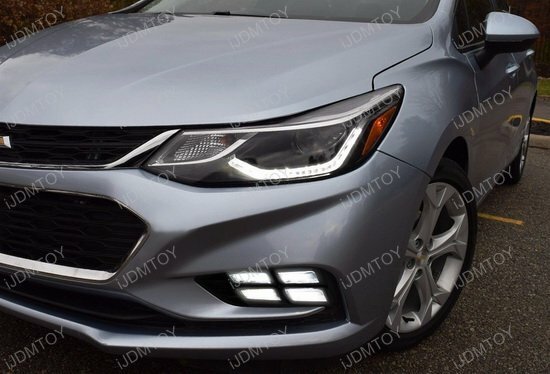 Whether your Chevy has fog light trim lower bumper bezels or not, you can use this LED set to convert your OEM bezels to a functional LED daytime running light that is sleekly designed, upgrading the look of your Chevy. 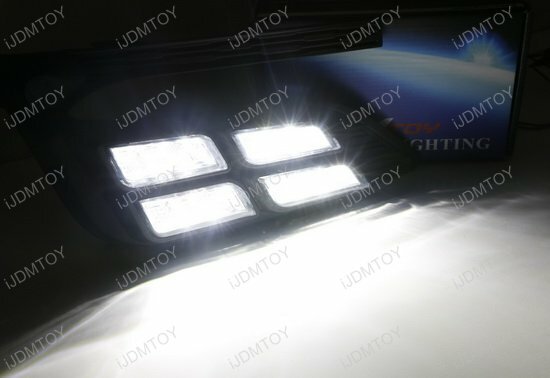 If you are installing this LED daytime running fog light onto your non-fog model, connect the wiring to your ACC 12V+ fuse box. If your Chevy has the fog light trim, wire your LED DRL fog set directly to the existing foglight harness. Your pair of DRL fog lamp bezels come predrilled with holes so that it does not interfere with your parking sensors (if applicable), allowing it to go through. The direct fit 10W high powered xenon white LED daytime running light/fog lamps are made to fit the 2017 and later Chevrolet Cruze.